I have finished another RBS (Rolling Ball Sculpture). The wife and kid picked out the colors. This is about 12 inches tall. It has one reversing section and a cool looking finale. 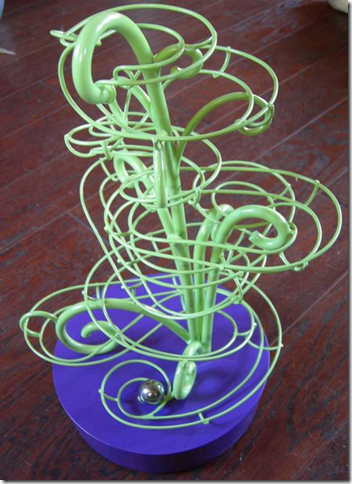 The ball track is 3/32″ steel welding rod brazed at all points. The structure is brazed and fusion welded in various places. 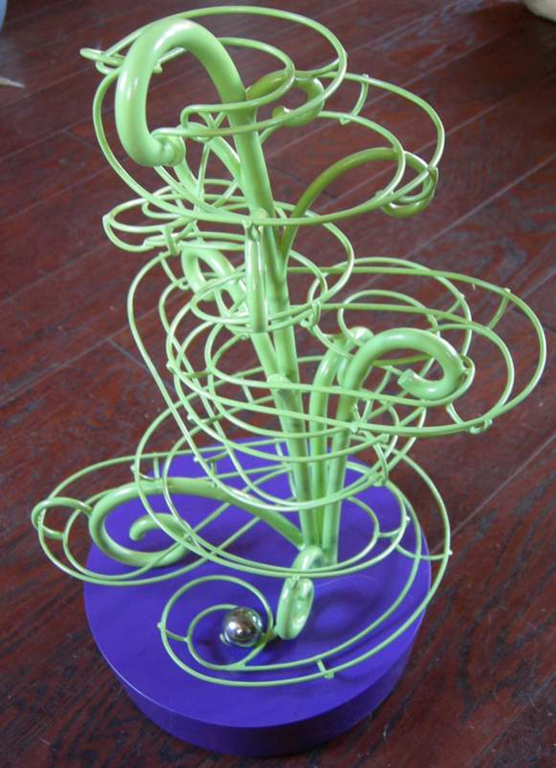 Sometimes these sculptures are called “marble runs” but since I am using a 1 inch steel ball, it can’t really be called a marble anything. Another common name for this is “kugelbahn”.